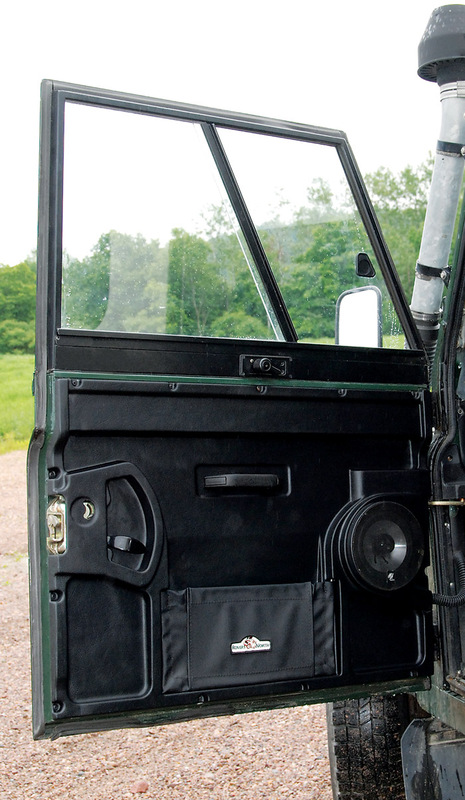 RN high quality door interior set is custom designed to fit all two piece front doors on Land Rover Series III and Defender 90 vehicles fitted with anti-burst latches. The rugged flex pocket provides great storage. Reinforced in key places and build to handle exposure to the elements, these interior panels are built to last the life of your Land Rover. Cut your own size speaker holes, or leave solid for a finished appearance. Satin black molded ABS with expanding vinyl pockets. Set Includes one RH and one LH front door interior panel assembly, mounting hardware and instructions. Made in the USA.